Orphanet Germany and the Centre for Rare Diseases (ZSE) of the Hannover Medical School invited all patients, relatives, physicians and interested citizens to a public symposium on rare diseases on the occasion of the international “Rare Disease Day 2019” last February 28, 2019. The program included 10 thematic lectures and an informative exhibition of booths by invited representatives of self-help groups and patient organizations, providing information on some of the more than 6000 known rare diseases. This year, Rare Disease Day was celebrated by patient groups, policy-makers, healthcare professionals and industry representatives in a record 101 countries! We saw another successful year of the #ShowYourRare campaign with thousands of people using the hashtag to raise awareness and show their support. The theme this year was “Bridging health and social care” which focused on bridging the gaps in the coordination between medical, social and support services in order to tackle the challenges that people living with a rare disease and their families around the world face every day. 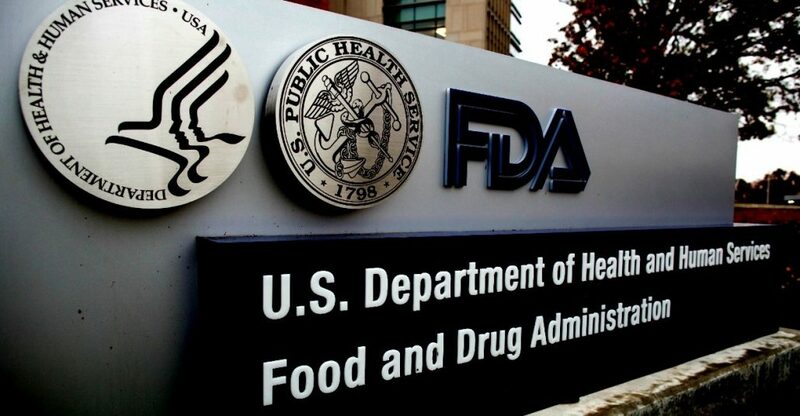 The FDA will develop more standardized, streamlined, and structured processes for reviewing new drugs, FDA commissioner Dr. Scott Gottlieb announced Tuesday. To do that, the agency will create a new group, the Office of Drug Evaluation Science, whose 52 members will assess drug efficacy and safety, explore how to use information technology, and monitor how biomarkers are researched. “This is going to be a new paradigm as we modernize the drug review process,” Gottlieb said, speaking to an audience at the J.P. Morgan Healthcare Conference in San Francisco. Gottlieb was supposed to appear in person at the conference, but because of staff shortages resulting from the government shutdown, appeared via video conference from Washington. The new group will take a more structured approach to data analysis, Gottlieb said. The data they study will come from the cloud, which could make them more numerous and more readily available. The office will begin its work with a structured review of data that examines the safety of new drugs. It will also evaluate biomarkers, bioinformatics, and patient-reported outcomes. Sermes CRO, a company with more than 10 years dedicated to the health sector and clinical research, have signed an agreement with Quirónsalud for conducting clinical trials, observational studies and research projects. The vision of the future is one of the values that define Sermes CRO. Our experience has helped us to develop new areas of expertise where innovation and new technologies give support to our customers outside of the traditional services of a CRO. We differentiate the ability to develop efficient processes in all areas in charge of a high level of professionals. It is for this reason that the digitization of our services, the Big data and the patients are among others, are the center of our current business Vision. 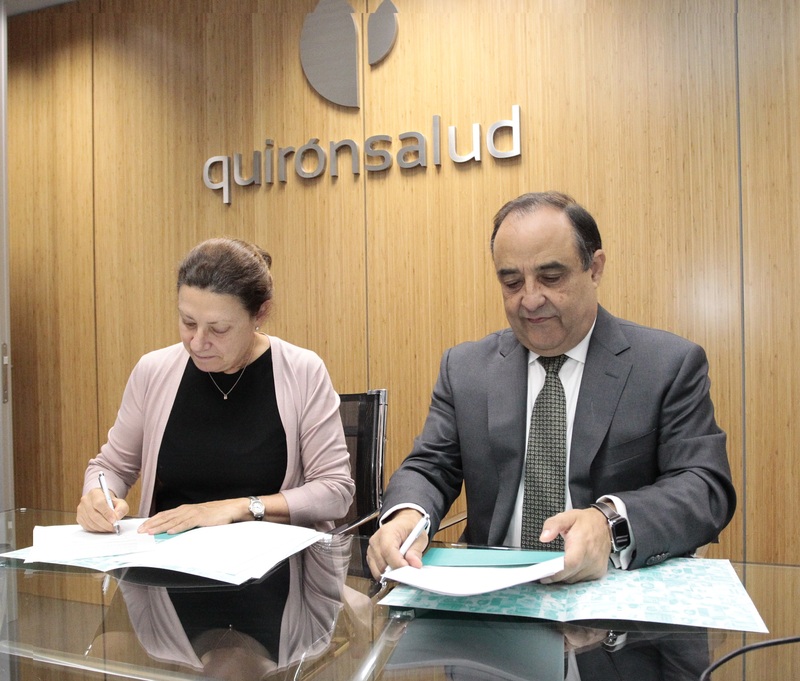 This agreement with Quirónsalud, is carried out by joining forces establishing a framework of continuous collaboration for the Development of clinical research studies that allow to offer to their patients the most innovative treatments and to situate their Researchers at the frontier of Knowledge. Quirónsalud is the largest hospital group in Spain and the third in Europe. It has more than 35,000 workers in more than 120 health centres, including 45 hospitals offering 6,800 hospital beds. It has the most advanced technology and a large team of highly specialized and internationally renowned Professionals. Among its centers, are the Teknon medical center, ruber international, University Hospital Quirónsalud Madrid, Fundación Jiménez Díaz, Hospital Quirónsalud Barcelona, Hospital Universitario Dexeus, Polyclinic of Gipuzkoa, etc. Its assistance service is organized in transversal units and networks that allow to optimize the accumulated experience in their different centers and the clinical translation of its researches. Currently, Quirónsalud is developing more than 1,600 research projects throughout Spain and many of its centres carry out a leading role in this field, being pioneers in different specialties such as oncology, cardiology, endocrinology, Gynecology and neurology, among others. In addition, the group performs an intense teaching work (eight of its hospitals are university) and researcher (it has the Institute of Sanitary Research of the FJD, only private research center accredited by the Secretary of State of investigation, Development and Innovation). 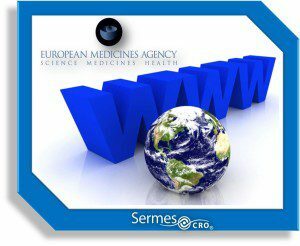 At Sermes CRO we have been in the service of quality clinical research for over 20 years, collaborating with our clients in the development of medicines and as a mission to provide clinical research services during the different stages of the development of medicines, from their earliest stages to post-marketing Studies. Sermes CRO offers global coverage, nationwide with offices in Madrid and Barcelona and internationally through our integration into PSN Research. Meeting the needs of the customers, we have a highly qualified staff structure that allows us to guarantee flexibility and adaptation to the needs, solving both punctual services and integral Projects and generating the possibility of carrying out efficient international “in house” projects with high standards of Quality. Sermes CRO, is highly committed to the disability in the labour market, therefore culminated this commitment to the creation of The Sermes Foundation, which is constituted in June 2012 with the goal of integrating disabled people in the world of work to Through training, as well as the empowerment of clinical research in those matters that contribute value and innovation to Society. Patient has a serious disease or condition, or whose life is immediately threatened by their disease or condition. There is no comparable or satisfactory alternative therapy to diagnose, monitor, or treat the disease or condition. Patient enrollment in a clinical trial is not possible. Potential patient benefit justifies the potential risks of treatment. The European Medicines Agency (EMA) and the European Commission have published additional information material on biosimilar medicines, as part of their ongoing collaboration to improve understanding of biosimilars across the European Union (EU). A biosimilar is biological medicine that is highly similar in all essential aspects to a ‘reference’ biological medicine already authorised. The new material includes an animated video for patients that explains key facts on biosimilar medicines and how EMA works to ensure that they are as safe and effective as their reference biological medicines. The video is available in eight European languages: Dutch, English, French, German, Italian, Polish, Portuguese and Spanish. 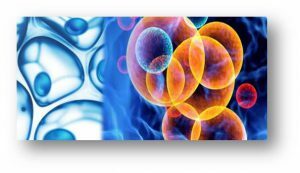 The newly available materials will be presented at the European Commission’s fourth multi-stakeholder conference on biosimilar medicines in Brussels on Friday, 14 September 2018. This conference aims to promote the exchange of information and expand patients’ and healthcare professionals’ knowledge on biosimilar medicines. The discussion will focus on three main topics: biosimilars in oncology, sustainable procurement and educational activities to improve understanding of biosimilars. 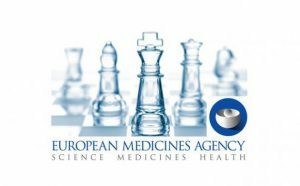 The European Medicines Agency’s (EMA) Committee for Orphan Medicinal Products (COMP) has elected Dr Violeta Stoyanova-Beninska as its new chair for a three-year mandate. She follows Professor Bruno Sepodes who served as COMP chair for two three-year terms, the maximum number allowed. 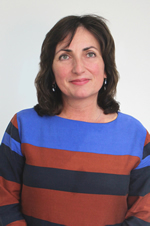 Dr Stoyanova-Beninska has been working since 2007 at the Dutch national competent authority, the Medicines Evaluation Board (MEB), as a senior clinical assessor. She has strong expertise in neurology, psychiatry, and ophthalmological, dermatological and pain management. She has been involved in EMA activities since 2009, first in the Scientific Advice Working Party (SAWP) and since 2012 as a member of the COMP. EMA would like to thank Professor Bruno Sepodes for the dedication and knowledge that he has put at service to the COMP over the past six years. The COMP is responsible for evaluating applications for orphan designation. This designation is for medicines to be developed for the diagnosis, prevention or treatment of rare diseases that are life-threatening or very serious. It gives access to incentives offered by the European Union to encourage companies to research and develop medicines for rare diseases that otherwise would not be developed. 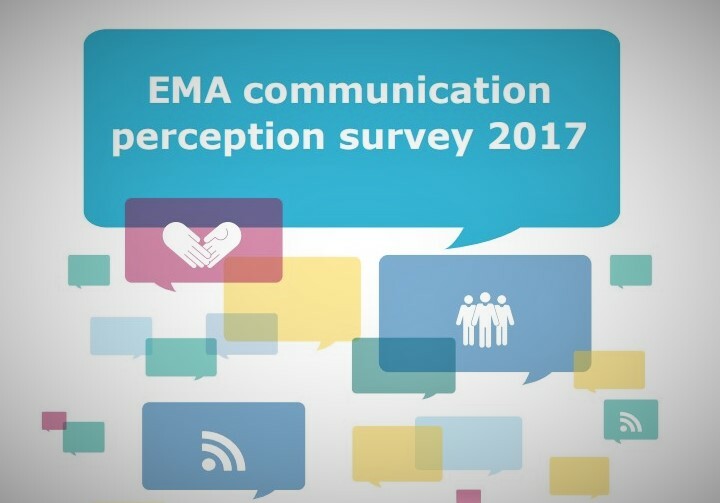 In May 2017, the European Medicines Agency (EMA) carried out a survey on its communication activities. The purpose was to assess, qualitatively and quantitatively, how EMA’s communication to the public is perceived and valued by its partners and stakeholders and whether they are satisfied with the services provided. The results will be used to monitor communication perception and support continual improvement of communication activities and products. The survey comprised three questionnaires in total: one for partners, one for stakeholders and one for website visitors. The three questionnaires were similar, but the one to partners also aimed at capturing the level of satisfaction with EMA’s efforts to coordinate key information within the EU Regulatory Network. The questionnaires focused on EMA communication activities to the general public (i.e. EMA information made public mainly through the EMA website such as press releases and news announcements). 1,774 selected individuals were asked to fill in the questionnaire (986 stakeholders and 788 partners). Of these, 417 (252 stakeholders and 165 partners) responded. 32,500 followers at the end of 2017) twice (11 May and 31 May, 2017), resulting in 20 responses. making up 10% of total stakeholder responses). stakeholder group taking into account their specific needs. Combining stakeholders, partners and web users, a total of 615 responses were analysed. If want, you can download the complete PDF clicking here. 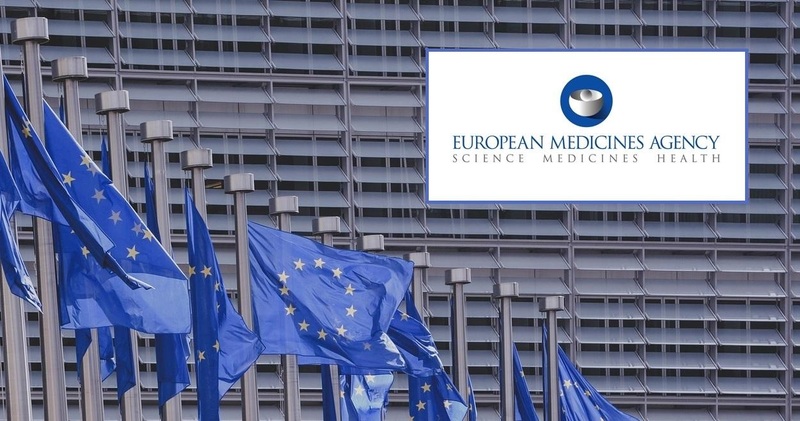 The European Medicines Agency (EMA) has published the first report on the implementation of its flagship policy on the publication of clinical data (Policy 0070). 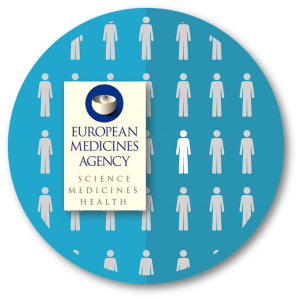 Under this policy citizens, including researchers and academics, can directly access thousands of pages from clinical reports submitted by pharmaceutical companies to EMA in the context of marketing authorisation applications for new medicines as of 1 January 2015. Clinical reports give information on the methods used and results of clinical trials conducted to demonstrate the safety and efficacy of medicines. 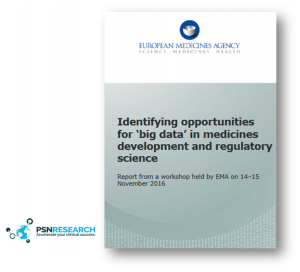 The report covers one year from the launch of EMA’s clinical data website on 20 October 2016 and lists the 50 medicines for which clinical data were published, including orphan, paediatric, biosimilar and generic medicines, as well as the corresponding 54 regulatory dossiers. These data have attracted a total of 3,641 users, resulting in 22,164 document ‘views’ and 80,537 ‘downloads’ for non-commercial research purposes. The report sheds light on the total number of documents published, the amount of commercially confidential information (CCI) redacted and the anonymisation techniques used. EMA accepted 24% of CCI redactions proposed by pharmaceutical companies, with the result that only 0.01% of 1.3 million pages published contained CCI redactions. The Agency also provided one-on-one assistance to individual companies to prepare them for the publication of clinical data. As a result, EMA published an average of six dossiers a month in the period from October 2017 to May 2018, reaching the 100th published dossier milestone on 29 May 2018. 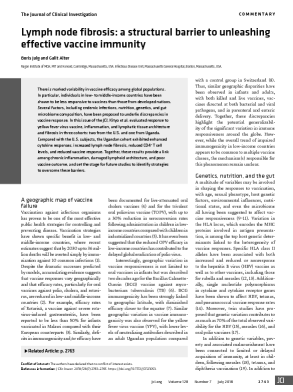 There is marked variability in vaccine efficacy among global populations. In particular, individuals in low- to middle-income countries have been shown to be less responsive to vaccines than those from developed nations. Several factors, including endemic infections, nutrition, genetics, and gut microbiome composition, have been proposed to underlie discrepancies in vaccine response. In this issue of the JCI, Kityo et al. evaluated response to yellow fever virus vaccine, inflammation, and lymphatic tissue architecture and fibrosis in three cohorts: two from the U.S. and one from Uganda. Compared with the U.S. subjects, the Ugandan cohort exhibited enhanced cytokine responses, increased lymph node fibrosis, reduced CD4+ T cell levels, and reduced vaccine response. Together, these results provide a link among chronic inflammation, damaged lymphoid architecture, and poor vaccine outcome, and set the stage for future studies to identify strategies to overcome these barriers. The FDA is aware of many pharmacies that compound topical pain creams comprised of multiple ingredients. Oftentimes, at least one of the ingredients is an active ingredient in an FDA-approved topical pain cream, such as lidocaine. The remaining ingredients may be active ingredients in drugs approved by the FDA for non-topical administration to treat non-pain related indications, such as antidepressants, anticonvulsants, antivirals and narcotics. Clinicians and patients may not be aware of potential safety risks, or the potential lack of effectiveness, associated with certain ingredients and combinations of ingredients in their compounded topical pain creams. In the coming months, the FDA intends to announce its plan to improve the information available about compounded topical pain creams, which will help inform reimbursors’ and the medical community’s decisions about these products. The FDA is also taking steps to ensure that outsourcing facilities, a new type of compounder created by federal legislation enacted in 2013, are compounding drugs from bulk drug substances for which there is a clinical need. In March of this year, the agency issued a draft guidance that describes how the FDA proposes to evaluate clinical need. Soon, the FDA will be announcing its plan to secure input from medical professionals about clinical need for the nominated substances. In addition, the FDA is inspecting compounding facilities to assess whether drugs that are essentially copies of FDA-approved drugs are being compounded for patients who could use an FDA-approved drug. As we described in our January 2018 communication, such a practice creates significant public health risks because patients are unnecessarily exposed to drugs that have not been shown to be safe and effective, and it undermines the integrity of the premarket approval processes that Congress put in place to protect patients from unsafe, ineffective, or poor quality drugs. Furthermore, the FDA is inspecting compounding facilities not registered as outsourcing facilities to confirm that they are distributing compounded drugs pursuant to valid patient-specific prescriptions. The prescription requirement helps to ensure that drugs compounded in these facilities, which are not FDA-approved, are provided to patients based on individual patient needs. The European Medicines Agency (EMA) has recommended the first two marketing authorisations for chimeric antigen receptors (CAR) T-cells medicines in the European Union (EU). Both of them, are advanced therapies for blood cancer. They belong to a new generation of personalised cancer immunotherapies that are based on collecting and modifying patients’ own immune cells to treat their cancer. 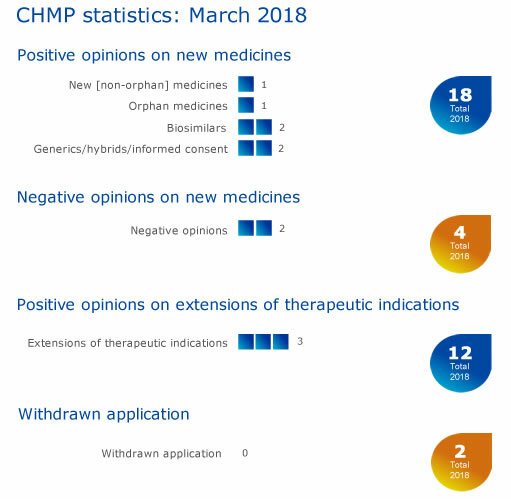 Both advance therapies, are also the first medicines supported through EMA’s PRIority MEdicines (PRIME) scheme to receive positive opinions from the Committee for Medicinal Products for Human Use (CHMP). The voluntary scheme provides early and enhanced scientific and regulatory support to medicines that have the potential to address, to a significant extent, patients’ unmet medical needs. “Innovative treatments such as CAR-T cells have potential to change the outlook for patients with cancer, but they also come with new scientific and regulatory challenges,” commented Dr Tomas Salmonson, Chair of the CHMP. The Committee for Advanced Therapies (CAT) held its 102nd CAT meeting on 14 – 16 March 2018. 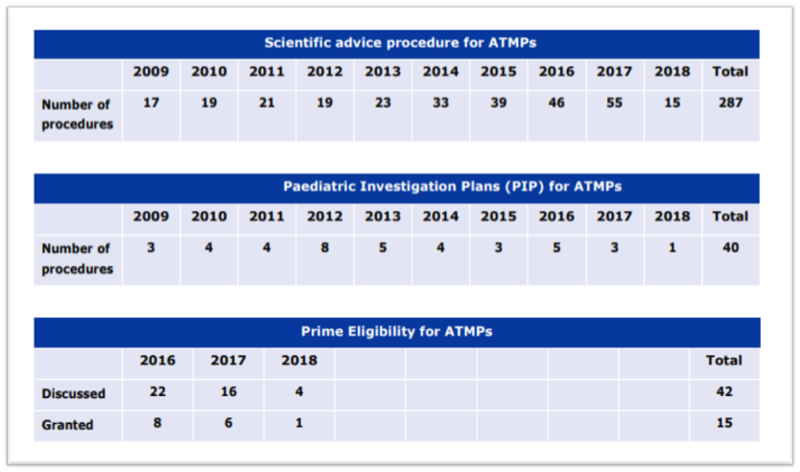 The CAT Monthly Report includes statistical data on CAT scientific recommendations on Advanced Therapy Medicinal Product (ATMP) classification, certifications, initial evaluations, CAT contributions to Scientific Advice and Paediatric Investigation Plans, as well as variations, line extensions, renewals. Scientific recommendation on advanced therapy product classification Further to consultation with the European Commission, the CAT finalised 1 scientific recommendation on the classification of advanced therapy medicinal products. • CAT adopted the public report on the expert meeting on adeno-associated viral vector-based gene therapy medicinal product, which was held at the EMA on 6 September 2017. The report will be published shortly. • CAT adopted the Guideline on quality, non-clinical and clinical aspects of medicinal products containing genetically modified cells. The guideline, which is a revision of the guideline on genetically modified cells published in April 2012, will be released for public consultation by June 2018. • CAT discussed the programme of the joint CHMP/PDCO/CAT Strategic Review and Learning meeting that will take place in Oslo, Norway on 7 – 9 May 2018 under the auspices of the Bulgarian presidency of the European Union. The European Medicines Agency’s (EMA) Committee for Medicinal Products for Human Use (CHMP) recommended six medicines for approva l, including one orphan medicine1, at its March 2018 meeting. The CHMP recommended granting a conditional marketing authorisation for Rubraca(rucaparib), for the treatment of relapsed or progressive ovarian cancer. Juluca (dolutegravir / rilpivirine) received a positive opinion for the treatment of human immunodeficiency virus (HIV) infection. Biosimilars: Kanjinti (trastuzumab) for the treatment of breast and gastric cancer; and Zessly (infliximab) for the treatment of rheumatoid arthritis, Crohn’s disease, ulcerative colitis, ankylosing spondylitis, psoriatic arthritis and psoriasis. Generics: received a positive opinion from the CHMP: Pemetrexed Krka(pemetrexed), for the treatment of malignant pleural mesothelioma and non-small cell lung cancer; and Prasugrel Mylan (prasugrel), for the prevention of atherothrombotic events. Dexxience (betrixaban). Dexxience was expected to be used for the prevention of venous thromboembolism. The Committee also adopted a negative opinion for Eladynos (abaloparatide). Eladynos was intended to be used to treat osteoporosis. The Committee recommended extensions of indications for Cabometyx, Ivemend and Repatha. The applicant for Sutent (sunitinib) has requested a re-examination of the Committee’s negative opinion for this medicine adopted at the February 2018 meeting. The CHMP started a review of the use of omega-3 fatty acid medicines in patients who have had a heart attack, following research showing that these oral products may not prevent recurrence of heart disease or stroke. 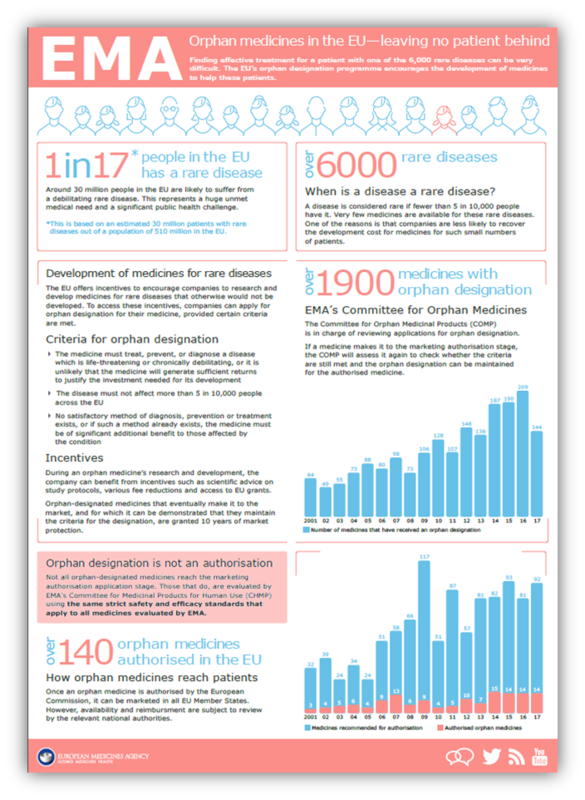 In support of Rare Disease Day, the EMA has published a question-and-answer document addressing common misunderstandings about the meaning of orphan designation and other aspects pertaining to orphan medicines. This document explains key concepts in the regulation of medicines for rare diseases such as orphan designation and significant benefit. The Q&A document is available by clicking here. For more information about orphan designation please click here. 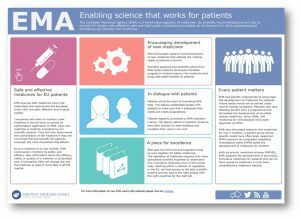 Questions and answers – EMA individual experts’ stakeholder database: patients and consumers are also available. The European Medicines Agency (EMA) has published three video animations to explain how it ensures that medicines are effective and safe for citizens across the European Economic Area (EEA). The first video explains that the Agency assesses, supervises and monitors medicines long before they appear in pharmacies and hospitals, and the whole time they are on the market, by bringing together the expertise from the European network. The second animation describes the journey of a medicine from initial laboratory tests to its authorisation by EMA and the European Commission. Finally, the third video focuses on how the Agency collects information on side effects from new clinical studies, scientific publications and reports from doctors, pharmacists and patients to keep medicines safe. The videos are available on EMA’s website and on the official EMA YouTube channel. 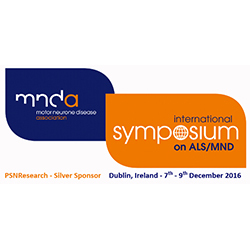 PSNResearch was Silver Sponsor of the 27th International Symposium on ALS/MND being run by the Motor Neurone Disease Association. The Symposium is the world’s largest medical and scientific conference solely about Motor Neurone Disease / ALS. 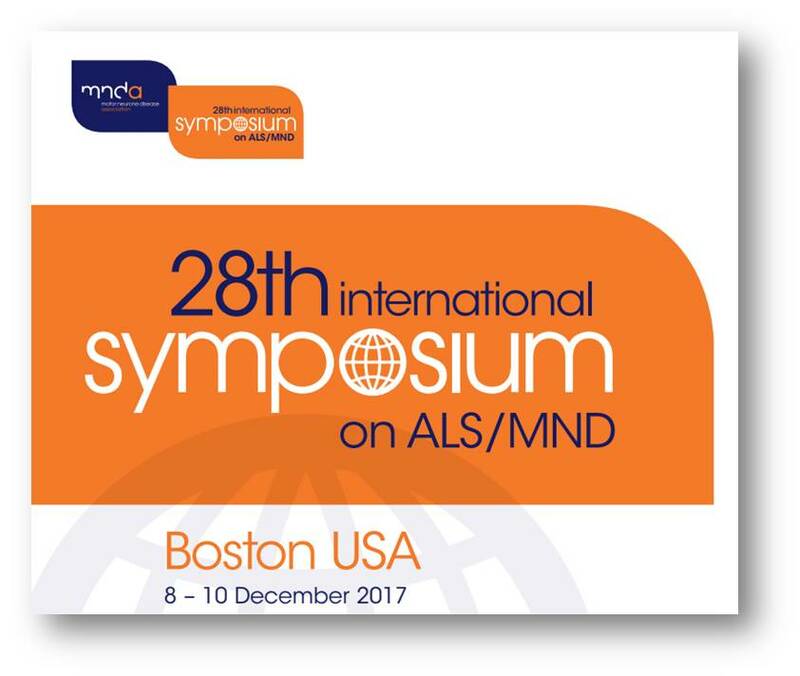 The 27th International Symposium on ALS/MND held in Boston, USA on 8 – 10 December 2017, over 1,200 delegates attended to hear about progress in research on a number of topics including pre-approval access, telemedicine, emerging markers, and cognitive change. View the final programme, abstracts online and work in progress and care practice abstracts. Read reports on the MND Research blog. 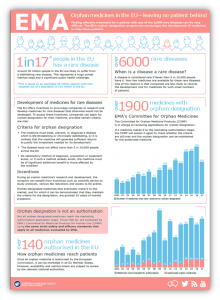 The EU’s orphan designation programme was launched in the year 2000 to encourage companies to research and develop medicines for rare diseases. To date, over 1,900 medicines have been designated as orphan medicines, giving access to specific incentives that make it more attractive for companies to develop them. By the end of 2017 over 140 of these medicines were on the market, providing treatment options for patients who previously often had none. The new factsheet published by European Medicines Agency today explains what a rare disease is, how the EU programme works and what incentives are made available to developers. Radiation therapy is an important treatment option for cancer patients. Approximately 60 percent of all cancer patients will be treated with some form of radiation therapy. During radiation therapy, tumor cells are killed when their DNA is damaged by the radiation being absorbed into them. While radiation therapy has the potential to kill tumor cells, it can also damage healthy tissue around the tumor. The GammaPod system is intended for use in the non-invasive stereotactic delivery of a radiation dose to a portion (partial volu me) of the breast in conjunction with breast conserving treatment. During the procedure, radiation is delivered to specific areas of the breast. The GammaPod has not been shown to be as effective as whole breast radiation therapy (WBRT) and is not intended to replace WBRT. 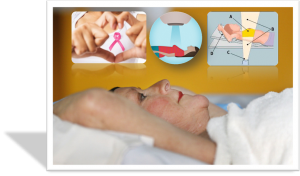 The GammaPod system is a dedicated stereotactic radiation therapy technology designed to treat breast cancer. GammaPod uses thousands of focused beams of radiation from 36 rotating radioactive Cobalt-60 sources in combination with a two-layer, vacuum-assisted cup that immobilizes the breast to achieve a more accurate delivery of radiation. The GammaPod design to immobilize the breast during treatment provides the benefit of minimizing the radiation dose to the surrounding healthy tissues in the breast, heart and lungs. The FDA reviewed scientific evidence including a clinical study of 17 patients that tested the feasibility of accurately delivering the prescribed dose to the breast tumor while minimizing radiation to the healthy tissue. The clinical evidence supports delivering the prescribed dose to the breast tumor with minimal radiation-induced side effects such as skin redness or erythema. 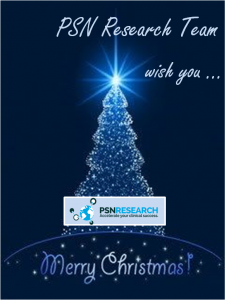 Merry Christmas from PSN Research Team!!! How is the current situation with The EMA? This is the first meeting of the Board since the General Affairs Council (Art.50) of 20 November and the decision of the EU 27 Member States to relocate the Agency to Amsterdam. EMA now has just over 15 months to prepare for the move and take up its new seat in Amsterdam by 30 March 2019 at the latest. 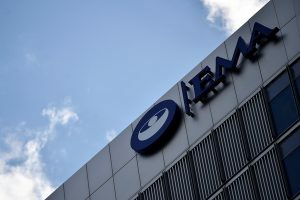 EMA’s collaboration with the Netherlands commenced promptly and agreement has been reached on the joint governance structure with plans to progress activities within five work streams relating to the temporary and permanent premises, staff relocation, financial and legal aspects, and external communication. The EU27 Member States and EMA have developed a methodology for the redistribution of the work currently carried out by the UK’s Medicines & Healthcare products Regulatory Agency (MHRA) and Veterinary Medicines Directorate (VMD). The joint redistribution plan reflects the strengthened capacity of the European medicines regulatory network. T he risk-based methodology takes into account the diverse expertise in the network and the workload associated with the medicines. EMA will communicate details of the methodology and next steps in early 2018. 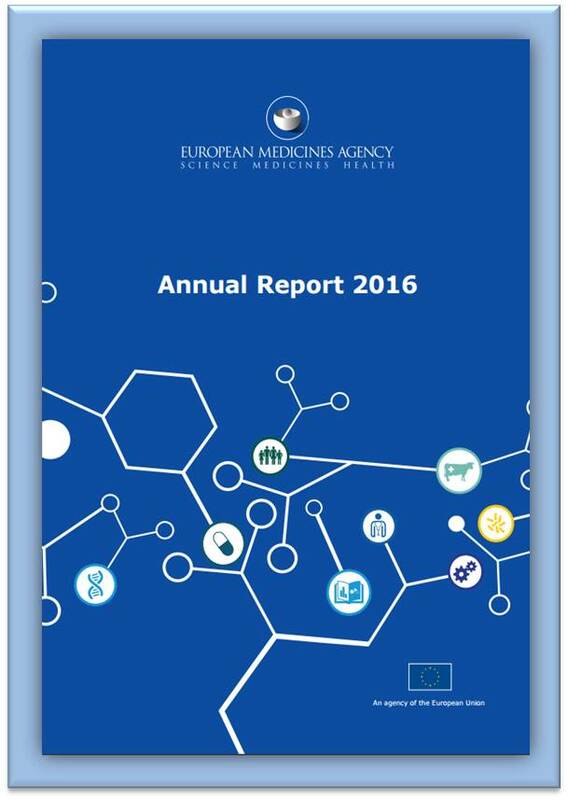 What will be the 2018 work programme and budget for the EMA? The EMA is preparing the UK’s withdrawal from the EU an what will be the impact on the activities of the Agency. This became clear in the discussion on the Agency’s work programme and the budget for 2018-2019. The Board adopted a budget of 337 million euros for 2018, a 2% increase over the previous year, driven primarily by an increase in fee-generating activities. The budget for 2018 includes provisions for Brexit-related costs such as IT-related relocation expenses and costs of the physical relocation of the Agency staff and assets. As the relocation process evolves, the budget will need to be monitored carefully and any additional costs that cannot be absorbed should be discussed with the European Commission. How is going the development of the EU clinical trial portal and database for the EU Clinical Trial Regulation? The development of the EU Portal and Database is making important progress. A partially-completed version of the system has been subjected to user acceptance testing by representatives of the European Commission, Member States, academia, pharmaceutical industry and contract research organisation (CRO) associations throughout November, while technical testing and further development continue in parallel. This is the most ambitious IT development project so far required by the EU pharmaceutical legislation. The Agency is working hard in collaboration with Member States, stakeholders and the developers to deliver a good, functional system to support the needs of EU clinical research, and to have the Clinical Trial Regulation enter in operation as soon as practicable. On 29 March 2017, the United Kingdom (UK) notified the European Council of its intention to withdraw from the European Union (EU), a process known as ‘Brexit’. EMA is making preparations to ensure that the Agency can continue to deliver on its mission and protect public and animal health after the UK leaves the EU on 30 March 2019, the date currently set by the timeframe provided in Article 50 of the Treaty on European Union. The EU 27 Member States took this decision on 20 November in the margins of the General Affairs Council (Article 50) of the European Council. The Agency will begin working immediately with the Dutch government to prepare for the move and take up its operations in Amsterdam on 30 March 2019 at the latest. 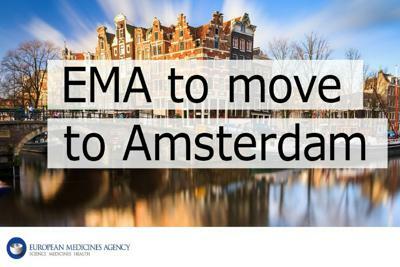 EMA and the Netherlands will establish a joint governance structure to steer and oversee the relocation project. In early December 2017, the Agency will publish a monitoring chart on its website that will allow stakeholders to track progress. Amsterdam was one of 19 offers to host EMA submitted by the Member States at the end of July 2017. For more information, see Background to relocation decision. ATMPs are medicines for human use that are based on genes or cells. These therapies offer ground-breaking new opportunities for the treatment of diseases a nd injuries. They are particularly important for severe, untreatable or chronic diseases for which conventional approaches have proven to be inadequate. The new guidelines adapt the European Union GMP requirements to the specific characteristics of ATMPs and address the novel and complex manufacturing scenarios utilised for these products. The guidelines foster a risk based approach to manufacture and testing of such products. The guidelines ensure that these novel medicinal productsare consistently produced and controlled according to high quality standards, for the benefit and the safety of patients. This initiative is part of the joint action plan launched by the Directorate General for Health and Food Safety (DG SANTE) and the European Medicines Agency (EMA) in October 2017 to foster the development of ATMPs. The European Commission drafted these guidelines with extensive input from the Agency’s Committee for Advanced Therapies (CAT) and GMP/Good distribution parctice (GDP) inspectors working group (GMDP IWG), together with national competent authorities and other external stakeholders. The adaptations introduced in the GMP framework for ATMPs will continue ensuring a high level of quality for ATMPs and a high level of patient protection. The EudraVigilance System is going to be scheduled for downtime from 8th to 21st of November 2017. The Agency will be releasing the new EudraVigilance system on 22th of November. 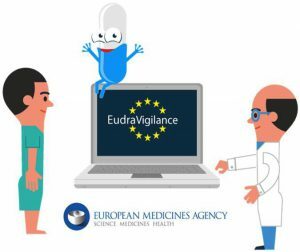 This follows the EMA Management Board announcement in May that the EudraVigilance (Human) system has achieved full functionality. A number of planned tasks and activities are necessary to prepare for the release of the new EudraVigilance system, requiring a downtime period of 10 business days from 8 to 21 November. The scheduled downtime will affect a number of key EudraVigilance functionalities and several other IT systems and business processes. Taking place for the 25th time, UEG Week is the largest and most prestigious GI meeting in Europe and is now a global congress. UEG Week attracts around 14,000 participants each year, from around the world. UEG, or United European Gastroenterology Week is an opportunity to present new research and thinking across a wide range of digestive disease areas, cutting-edge post-graduate teaching sessions, some of the best GI abstracts and posters and simultaneous live streams to a global audience and endoscopic, ultrasound and surgical hands-on training. The focus for the 25th UEG Week 2017 in Barcelona will be to advance science and link people in the global GI community. UEG’s mission is to continuously improve standards of care in gastroenterology, and promote ever greater understanding of digestive and liver disease – among the public and medical experts alike. 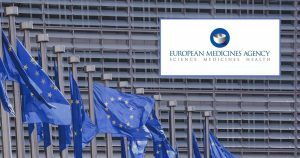 The EMA (European Medicines Agency), retakes the development of the new portal for the online presentation of clinical trials at European level (UATs European portal). This October 2017 will take place the next step, “test the new portal by a group of experts” carefully selected by EMA itself. In total, the EMA has entrusted 16 European representatives with the task of testing “onsite” the new Portal (UATs) through on-site E2E scenarios, in a face-to-face manner in their offices in London. 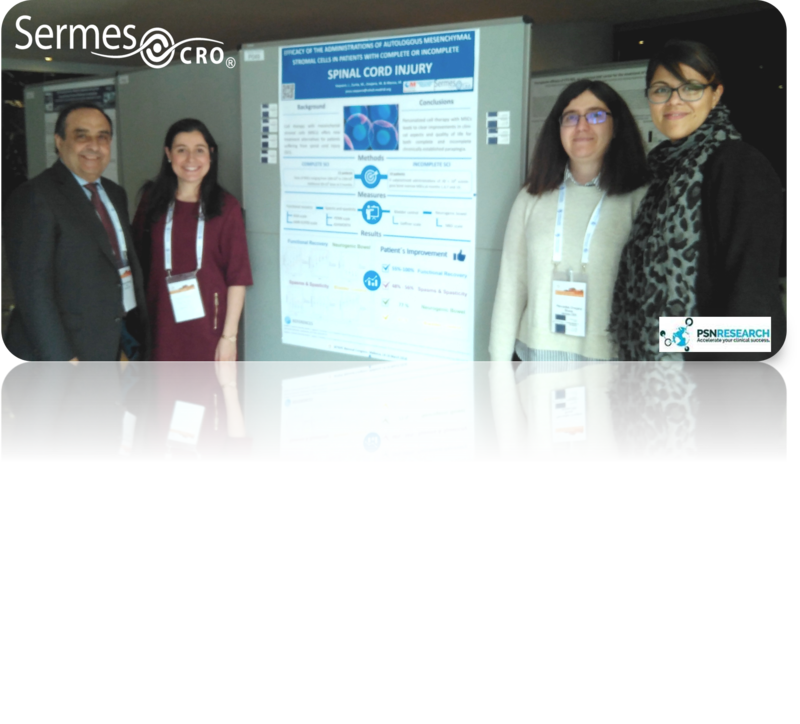 EUCROF (European CRO Federation), has determined that Sermes CRO a PSN Research Company, represented by their Head of Unit of start-up (UPM), Lidya Dominguez, will be person chosen to go to the offices of the EMA and to carry out the “on-site” UATs test to analyze possible errors and To bring new ideas of improvement to implant in the Portal. 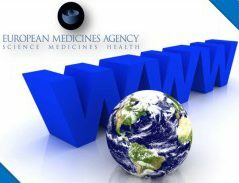 The European Medicines Agency (EMA) hosted an awareness session to present the European Union’s (EU) medicines regulatory system and EMA’s role in it to international regulators and non-governmental organisations. All the speakers were part of the Agency and will present on the European medicines regulatory network and the various activities carried out by EMA as part of it. The issue will be to show a clear understanding of how medicines are regulated in different parts of the word is of prime importance in an increasingly globalised world where regulators rely on close cooperation. The European medicines regulatory system is based on a network of around 50 regulatory authorities from the 31 EEA countries (28 EU Member States plus Iceland, Liechtenstein and Norway), the European Commission and EMA. This network is what makes the EU regulatory system unique. The network is supported by a pool of thousands of experts drawn from across Europe, allowing it to source the best possible scientific expertise for the regulation of medicines in the EU and to provide scientific advice of the highest quality. EMA and the Member States cooperate and share expertise in the assessment of new medicines and of new safety information. They also rely on each other for exchange of information in the regulation of medicine, for example regarding the reporting of side effects of medicines, the oversight of clinical trials and the conduct of inspections of medicines’ manufacturers. This works because EU legislation requires that each Member State operates to the same rules and requirements regarding the authorisation and monitoring of medicines. The E9(R1) addendum aims to clarify and extend ICH E9 by elaborating on the choice of estimand and sensitivity analysis in clinical trials, providing a framework to align its planning, design, conduct, analysis and interpretation. Having clarity in the trial objectives and accounting explicitly for intercurrent events when describing the treatment effect of interest at the planning stage of a clinical trial are crucial for a clear description of the effects of a medicine. The proposed framework aims to facilitate dialogue for the disciplines involved at the planning level of the trial and also between sponsors and regulators regarding the treatment effects of interest that a clinical trial should address. The statistical analysis, aligned to the estimand, will be associated with assumptions and data limitations, the impact of which can be investigated through sensitivity analysis, whose definition and role are clarified in this addendum. Deadline for comments will be 28 February 2018. University of North Carolina Health Care researchers have made strides toward a stem cell treatment for lung diseases such as pulmonary fibrosis, COPD, and cystic fibrosis. The team discussed its work in two recent studies. One proved that it is possible to isolate lung stem cells with a relatively non-invasive procedure. The other showed that stem cells reduce fibrosis in rats with pulmonary fibrosis. “This is the first time anyone has generated potentially therapeutic lung stem cells from minimally invasive biopsy specimens,” Dr. Jason Lobo, director of the university’s lung transplant and interstitial lung disease program, said in a press release. He was co-senior author of both studies. The European Medicines Agency (EMA) ensures that medicines which are prescribed and used across the European Union (EU) are Safe, Effective and of Good Quality.All of them are carefully evaluated by the bests scientific experts through the European regulatory network assuring each new medicine it is recommended for authorisation if the benefits for the patients outweigh the risks of possible side effects. 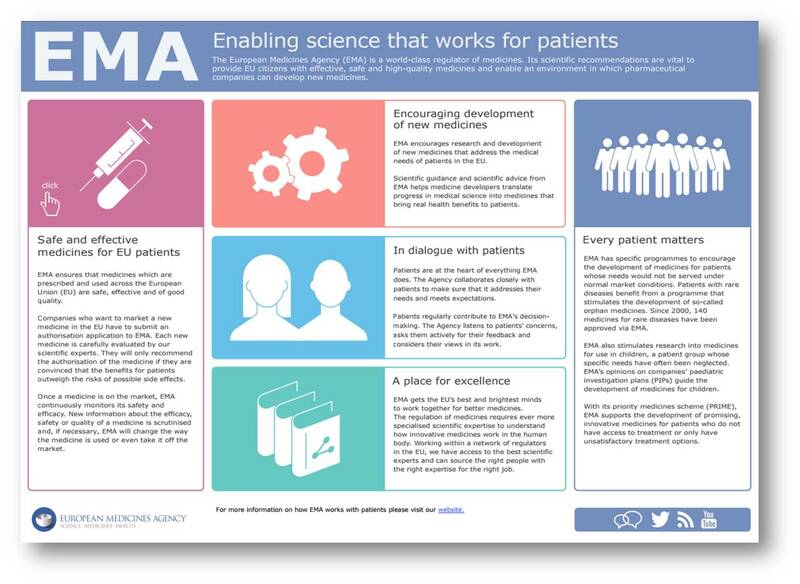 The document created, entitled “Enabling science that works for patients“ (at link below), try to explain how The EMA promotes science and innovation in order to find better medicines, collaborates closely with patients to understand their point of view and to make sure that new medicines address their needs, providing also a scientific advice and guidance to encourage the development of new and innovative medicines, especially in areas with limited treatment options such as rare diseases and illnesses in children. 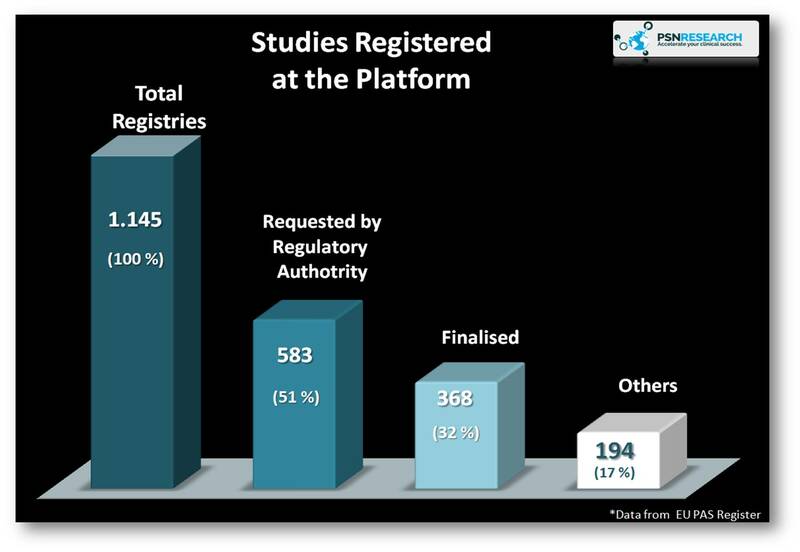 All the information at the EU PAS Register helps to reduce publication bias through increased transparency of medicines research, improves the quality of post-authorisation studies by facilitating peer-review of protocols and results, promotes collaboration among stakeholders, and ensures compliance with EU pharmacovigilance legislation requirements. The platform is recommended in the following cases: scientific publications, guidelines and textbooks. Although initially the main aim of The EU PAS Register was to collect studies conducted in the European Union, researchers from outside the EU are also registering studies to increase transparency of their research. 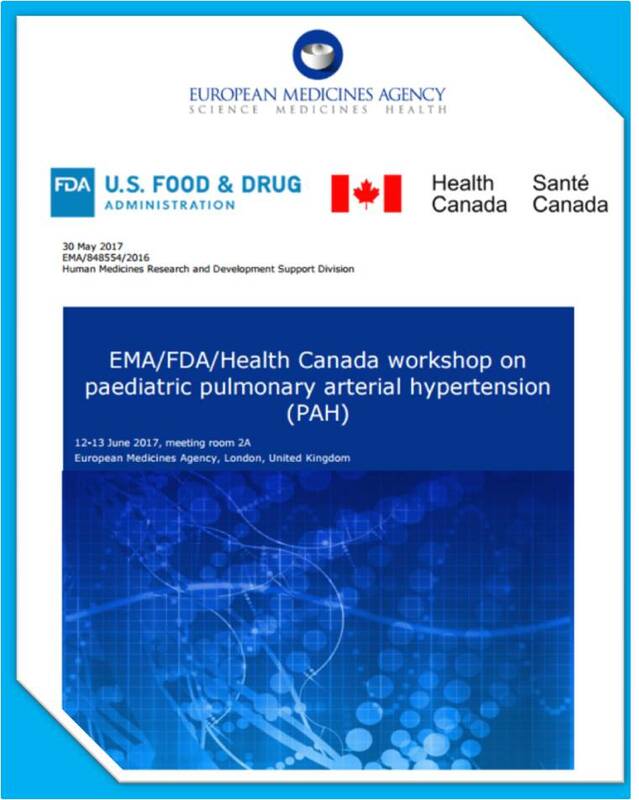 The EU PAS Register was developed through the European Network of Centres for Pharmacoepidemiology and Pharmacovigilance (ENCePP), which is coordinated by EMA to support research in pharmacoepidemiology and pharmacovigilance. New principles give a voice to patients, consumers and carers under age 18 can make an important contribution to EMA’s committee discussions on medicines by sharing their experience and perspectives of living with a disease or condition. The privacy of the young patients. 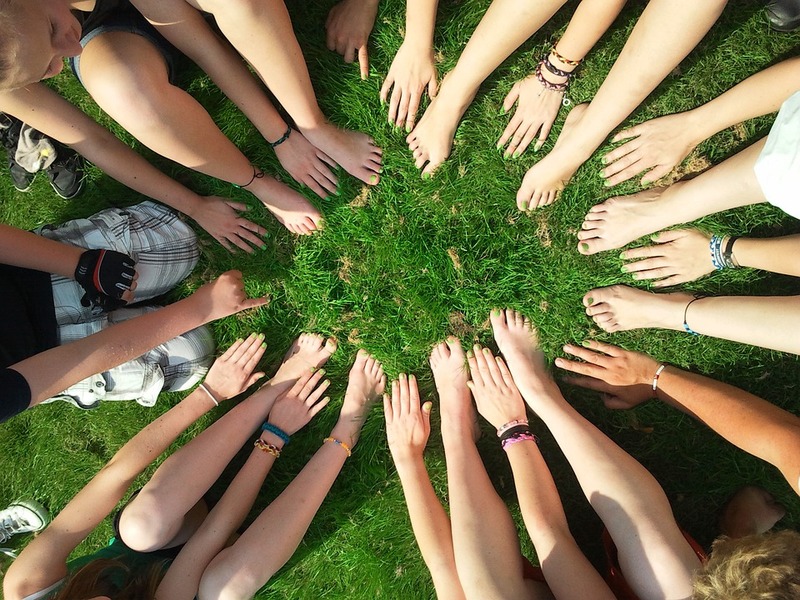 The key forum in which young people could participate in the Agency’s activities would be its Paediatric Committee (PDCO), but experience has demonstrated that the Committee for Medicinal Products for Human Use (CHMP), the Pharmacovigilance Risk Assessment Committee (PRAC) and the Scientific Advice Working Party (SAWP) can also benefit from this input when these groups review medicines for children. A FDA panel opened a new era in medicine unanimously recommending that the agency approve the first-ever treatment that genetically alters a patient’s own cells to fight cancer, transforming them into what scientists call “a living drug” that powerfully bolsters the immune system to shut down the disease. 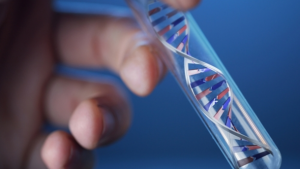 The treatment will be The First Gene Therapy ever to reach the market throw FDA approval. In 2012, as a 6-year-old patient was treated in a study at the Children’s Hospital of Philadelphia. Severe side effects — raging fever, crashing blood pressure, lung congestion — nearly killed her. But she emerged cancer free, and has remained so. 52 of them, (82.5%) went into remission — a high rate for such a severe disease. The U.S. Food and Drug Administration (FDA), is taking two new important steps to increase competition in the market for prescription drugs, and facilitate entry of lower-cost alternatives. The agency published a list of off-patent, off-exclusivity branded drugs without approved generics, and also implemented, for the first time, a new policy to expedite the review of generic drug applications where competition is limited. To encourage generic drug development, the FDA posted a list of branded drugs that have no listed patents or exclusivities and for which the agency has yet to approve a generic drug application (known as an Abbreviated New Drug Application or ANDA). The agency also intends to expedite the review of any generic drug application for a product on this list to ensure that they come to market as expeditiously as possible. These are the first of a series of steps the agency intends to take to help tackle this important issue. The agency will unveil additional aspects of this plan in the near future and will continue to communicate with the public as additional elements of this plan are implemented. These actions reflect the administration’s broader work to improve access to prescription drugs. This new initiative replaces the existing tool for parallel scientific advice by EMA and HTA bodies which required medicine developers to contact Member States’ HTA bodies individually. It also builds on previous initiatives and pilots on HTA-regulatory collaboration led by EMA, EUnetHTA and the European Commission (see notes). Medicines developers will need to notify simultaneously EMA and EUnetHTA of their intention to request parallel advice. EUnetHTA’s Early Dialogue Secretariat, recently created to facilitate such consultations, will then coordinate the involvement of the HTA bodies that will take part in the parallel advice, taking into account the preferences of the requester. EUnetHTA created the Early Dialogues Working Party (EDWP), composed of HTA bodies with demonstrated experience in early dialogues/scientific advice, to ensure high-quality advice and consistency over time. streamlined logistics for the requesters. 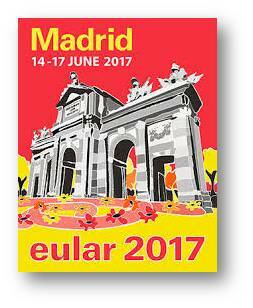 Rafael Zurita (Genaral Director) and Alain Baleydier (France office Director) from PSN Research, attended the 18th EULAR Congress 2017 14-17 of June in Madrid. In addition, PSN Research attended at EULAR 2017 meetings organised by People with Arthritis and Rheumatism in Europe (PARE), by Health Professionals in Rheumatology (HPR), and by the Healthcare Industry. It received more than 4.850 abstract submissions, which is by far the highest ever at a EULAR congress. A total of 347 were accepted as oral presentations this year, and the congress features 180 sessions and poster tours with 355 speakers. Out of the 2,336 poster displays spread over 3 days, 461 posters will be explained in 45 themed poster tours. These numbers reflect the availability of increased information on the impact, burden, and cost of these diseases for society and a significantly improved ability to diagnose and treat them. Pulmonary Arterial Hypertension is a disorder of the blood vessels leading to the lungs, in which the blood pressure in the pulmonary artery becomes high. PAH is a serious, debilitating disease that affects both children and adults but the condition is rare in children and the signs and symptoms often differ from those seen in adults. 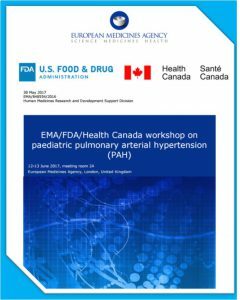 The European Medicines Agency (EMA), the United States Food and Drug Administration (FDA) and Health Canada are co-organising a workshop to discuss the requirements for the development of medicines for pulmonary arterial hypertension (PAH) that address the high unmet medical needs of children. 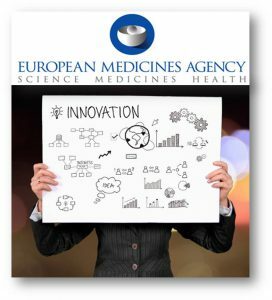 The European Medicines Agency (EMA) has published today an action plan for small and medium-sized enterprises (SMEs), which aims to foster innovation and support SMEs in the development of novel human and veterinary medicines. 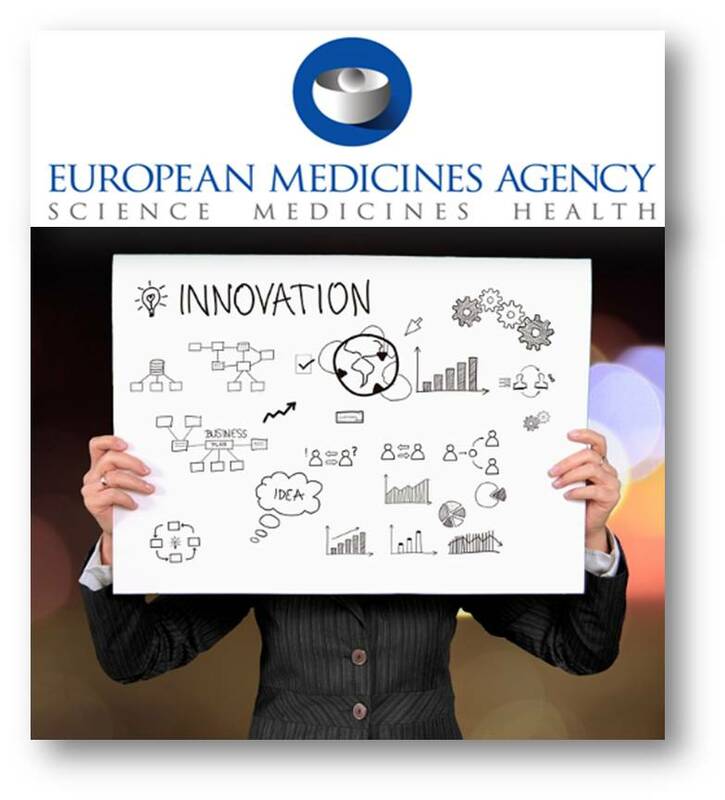 SMEs are a motor of innovation and play a major role in the development of new medicines. To support SMEs throughout all stages of medicine development, EMA’s SME Office provides active regulatory, financial and administrative support to registered SMEs. More than 1,700 companies are currently registered with the Agency operating in the human and veterinary fields. EMA has also published today its SME office 2016 annual report providing an overview of SME-related activities in 2016 and highlights incentives and platforms that SMEs can leverage to advance innovative developments and regulatory strategies. The European Medicines Agency (EMA) will launch a new and improved version of EudraVigilance, the European information system of suspected adverse reactions to medicines that are authorised or being studied in clinical trials in the European Economic Area (EEA). 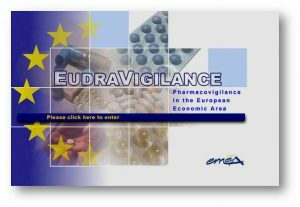 The new version of EudraVigilance will go live on 22 November 2017 (announcement of the EMA Management Board) with enhanced functionalities for reporting and analysing suspected adverse reactions. The enhancements for reporting and analysing suspected adverse reactions of the new EudraVigilance system will support better safety monitoring of medicines and a more efficient reporting process for stakeholders. The Agency will support national competent authorities, marketing authorisation holders and sponsors of clinical trials in the EEA through targeted e-learning and face-to-face trainings, webinars and information days. Users can trial the new functions of the EudraVigilance system and the internationally agreed format for ICSRs in a test environment as of 26 June 2017. Further information is available on the EudraVigilance training and support webpage. 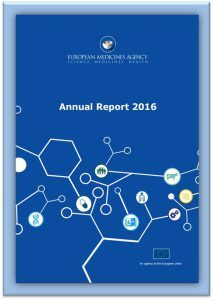 The European Medicines Agency (EMA) has published its 2016 Annual Report. The report focuses on the Agency’s key achievements in the areas of medicine evaluation, support to research and development of new and innovative treatments and the safety monitoring of medicines in real life. As a result of the safety monitoring of all medicines marketed in the European Union (EU), the product information for over 300 medicines for human use was updated on the b asis of new safety data. How to reinforce surveillance of antimicrobial consumption. The last part of the report provides a large amount of data and figures that illustrate the work of EMA and its impact. 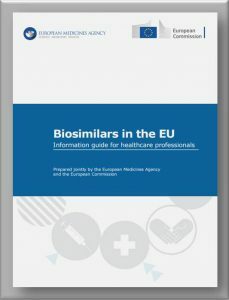 The guide was launched last 5th of May of 2017 at the European Commission’s third stakeholder event on biosimilar medicines, a discussion forum that provides a platform for stakeholders interested in biosimilars, including healthcare professionals, patients, payers, regulators and industry. The EU has pioneered the regulation of biosimilar medicines by establishing a solid framework for their approval and by shaping biosimilar development globally. The main objective of this document is to increase, even more, the understanding of Biosimilar medicines by Healthcare proffesionals and also by all the stake holders involve as it was previously requested by Organisations from across the EU representing: doctors, nurses, pharmacists and patients have also shared useful views, to ensure that the guide adequately addresses questions relevant to healthcare professionals. Rare diseases have long been under-researched, with many unaware that such conditions even existed. The global orphan drug market generated nearly $123 billion in 2014 and will continue to grow to reach nearly $191 billion by 2019. With such growth and innovation, now is the best time to discuss the best strategist to follow. Bearing in mind, Germany is Europe’s largest pharma market and also recognised as having one of the toughest pricing policies in Europe, The 6th annual Orphan Drugs will discuss the controversial German pricing mechanism as well as bring together leading industry professionals to share the different opinions of the latest regulatory developments, exploring how to reduce costs and learn from the latest innovations in the orphan drug landscape. Some of the speakers during both days 15th and 16th of May 2017 will be from companies as: Aegerion Pharmaceuticals, Institute of Pharmaceutical Research & Technology, Therachon AG, NovoNordisk, Orphan Europe, SYMPTOMA, Alexion Pharma GmbH, ATAXIA UK, etc. 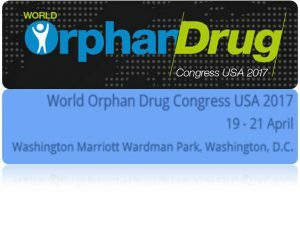 The World Orphan Drug Congress USA in April 2017, brings more than 150 elite speakers to educate and inspire 1,000 attendees from big pharma, biotech, payers, patient groups, academics and government bodies. In 2017, World Orphan Drug Congress USA is bringing together the worlds of Scientific Innovation and Commercialization, with 2 tracks in the main conference. By exploring trends in Digital Health, Biosimilars, Gene Therapy, and more, we will uncover the next scientific breakthrough. Examinations of Mergers, Commercialization, Marketing and the Regional Markets will provide insight into this billion-dollar business. INFLUENCING DRUG DEVELOPMENT –The role of the patient is changing once more. Rare Disease Advocacy World will kick off with industry-led investigation into the impact of patient-industry collaboration. ADVOCACY IN ACTION- Parent Project Muscular Dystrophy (PPMS), PTC Therapeutics and EveryLife Foundation for Rare Diseases will provide practical insight into how patient groups can impact policymaking and orphan drug development, through realworld examples. ACCESS-‘Right to Try’ : Rare Disease Advocacy World is facilitating a multi-stakeholder examination of the latest access strategies, and how they will impact the review of new therapies for rare diseases. NATIONAL PATIENT ORGANIZATIONS- US, South Africa, Australia, Colombia, New Zealand, Japan, India and Europe will also be discussing the opportunities for rare disease research and development in their respective regions. The Conference will take place next 17 th to 19 th of May 2017 in the auditorium of SJD Barcelona Children’s Hospital, and the Borja Institute of Bioethics of the Ramon Llull University will also collaborate in the organisation of the event. 1. The proposal of a new joint platform for research ethics evaluation, either biomedical or not, by means of European projects. and the personal data handling in this context and Biobanks. 3. 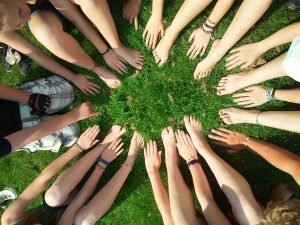 The features of generational relationships by means of European Projects which treat the psychological stress on adolescents. 4. The meaningfulness and implications of the Research Ethics Committees’ independence. 7. The research in vulnerable populations. The participation of children in the Research Ethics Committees. The Kids Barcelona Project. 8. The question of what kind of Research Ethics Committee can fit in Europe. A proxy committee or an administrative regulator one. 9. Medical devices: the new regulatory project. Ethical problems in the clinical trials and use of medical devices. The example of fetal surgery. 11. 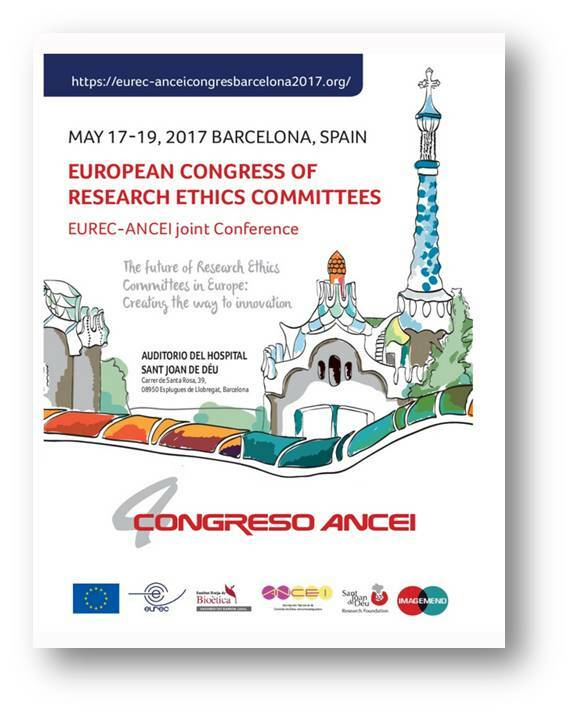 The future of Research Ethics Committees, perspectives and hopes. The languages of the Conference will be English and Spanish. However, the texts of the lectures and communications to be published in the Conference Book, will be in English. 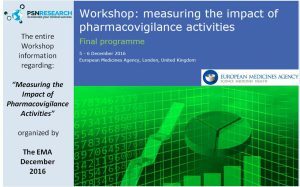 Last 5th and 6th of December 2016 was celebrated The Workshop on Measuring the Impact of Pharmacovigilance Activities in London, organized by the European Medicine Agency. 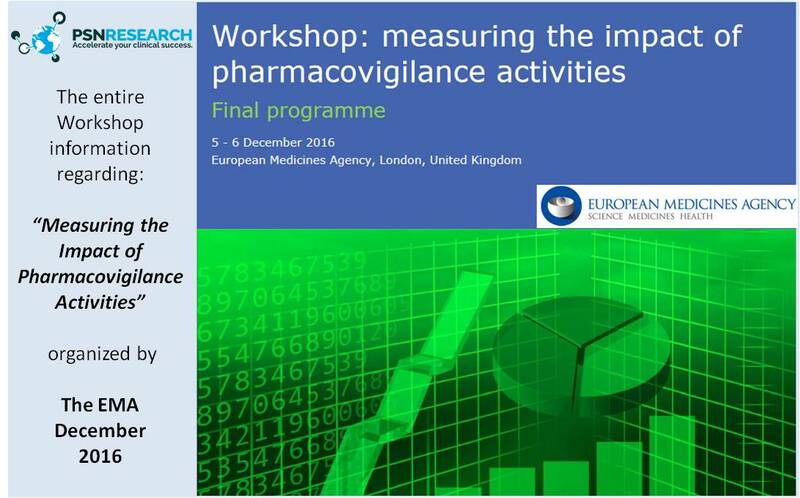 In January 2016 PRAC adopted a strategy for measuring the impact of pharmacovigilance activities. This relies on the collaboration between stakeholders to assess whether pharmacovigilance systems are fully achieving their public health objectives, and to identify areas for improvement. The workshop’s objective was to develop methods in impact research and to identify enablers and barriers to measuring the impact of pharmacovigilance. Particular focus on new methods for measuring the impact of product-specific pharmacovigilance activities on clinical practice and health outcomes, as well as the impact of individual pharmacovigilance processes. The Farmaforum 2017 Brokerage offers business contacts to industry, science and nanotechnology professionals who are looking for potential partners within the field: Pharma, Biopharma, Cosmetic, Biotech and Lab technology to ensure sustainable business development and growth. The main objective of the event is to create a meeting forum for companies, research institutes, universities and other organizations that are actively engaged within the field of Pharma, Biopharma, Cosmetic, Biotech and Lab Technology. Participants may provide opportunities for collaboration and business based on technology, through aimed-to-agreement bilateral meetings. Related sectors: logistic, regulations, quality and production. Organisations looking for Commercial, Technological or Research partners from Europe and beyond. We are currently living in the generation of vast volumes of data, creating new evidence which has the potential to add significantly to the way the benefit-risk of medicinal products. 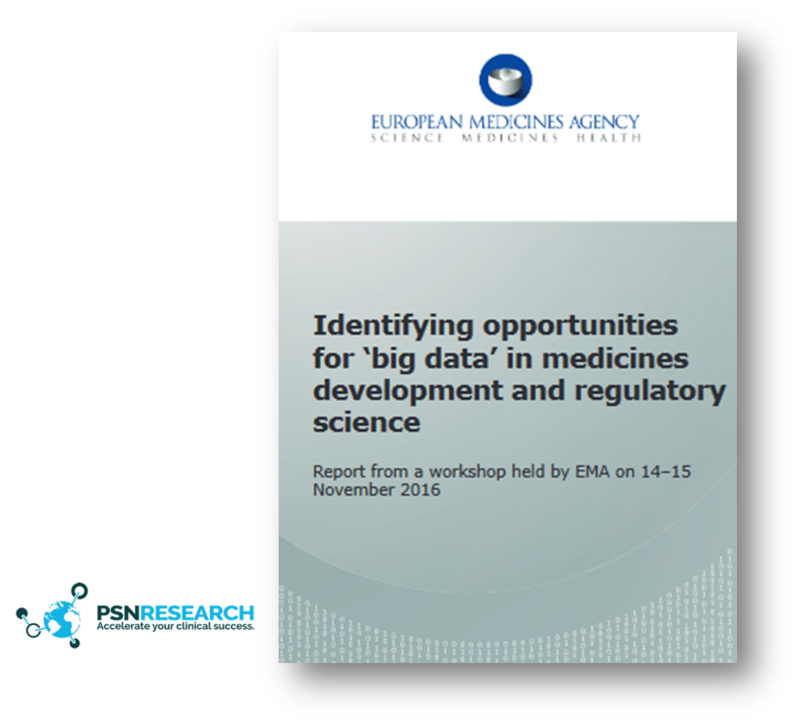 The EMA and the European Union Medicines Regulatory Network are sharing this report with information on the latest developments in the field of big data from the perspective of different stakeholders. This will begin to clarify how and when the multitude of data sources may contribute to medicinal product development, authorisation and surveillance. 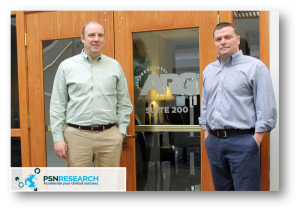 Paul Bishop and Lyle Camblos (co-founders of Atlantic Research Group-ARG), moved their 30-person medical research company from Staunton to Charlottesville nearly four years ago to be closer to their labour pool and attract new employees. The group saw nearly 50 percent growth last year, company officials said, and expects about 30 percent in 2017. On the strength of two recent FDA approvals and two more ARG expects this year; Camblos and Bishop expect to add another 300 to 400 employees over the next five to seven years. 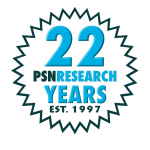 PSNResearch was Silver Sponsor of the 27th International Symposium on ALS/MND being run by the Motor Neurone Disease Association. The Symposium is the world’s largest medical and scientific conference solely about Motor Neurone Disease / ALS and attracts over 800 delegates from the research community worldwide. Delegates come to hear about the latest advances in research and clinical management and share research and clinical information. 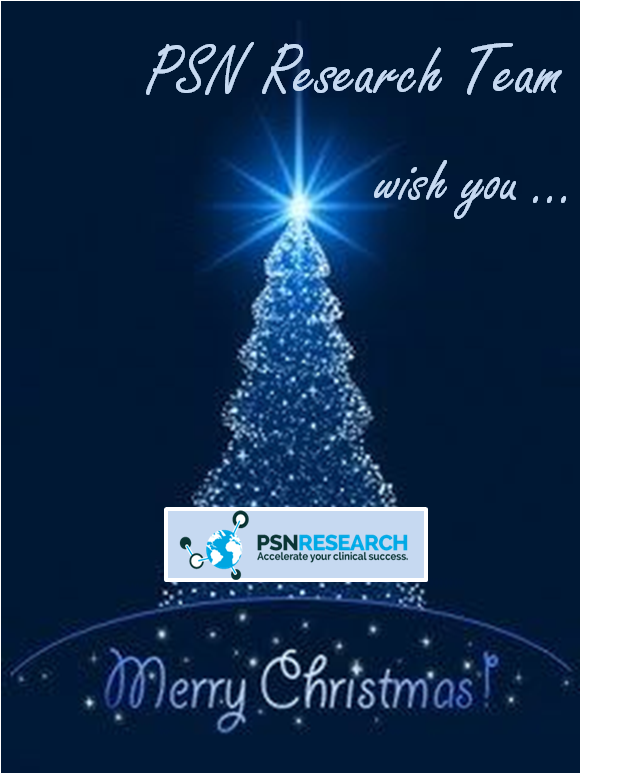 Last year’s symposium, which has being held in Dublin from 7th – 9th December 2016, had parallel sessions split into biomedical and clinical themes running throughout the three days. Last year’s symposium has covered a wide range topics including therapeutic strategies, evolving biomarkers and clinical trials.